The bomb -- SAAW (Smart Anti Airfield Weapon) -- was dropped from an Indian Air Force aircraft at the Integrated Test Range (ITR) in Chandipur yesterday. 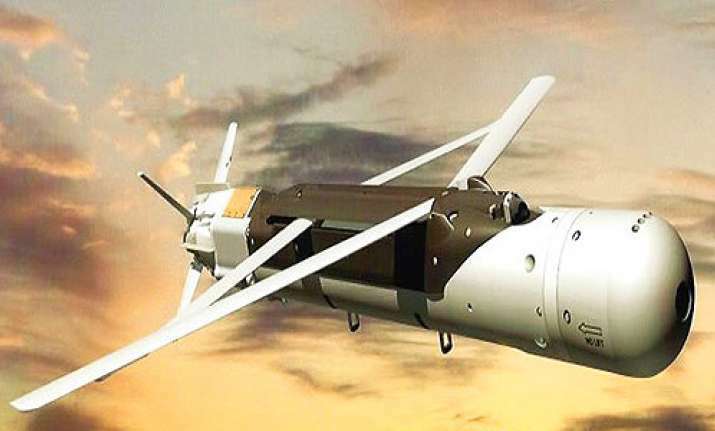 The government said on Saturday that an indigenously developed light weight 'Glide' bomb has been successfully tested in Chandipur in Odisha, marking a major milestone in developing such weapons. "The guided bomb released from the aircraft and guided through precision navigation system, reached the targets at greater than 70 km range, with high accuracies," the defence ministry said in a statement. It said a total of three tests with "different release conditions" and ranges were conducted and were all successful. The guided bomb is developed by the Research Centre Imarat (RCI), Defence Research and Development Organisation (DRDO), along with other laboratories of the DRDO and the Indian Air Force. Defence Minister Nirmala Sitharaman congratulated the DRDO scientists and IAF for the successful tests. Secretary, Department of Defence R&D and chairman DRDO, S Christopher, congratulated the team and said SAAW will be inducted soon into the armed forces. Director General Missiles and Strategic System of DRDO G Satheesh Reddy termed the test a major milestone in the indigenous capabilities to develop guided bombs.